So here's my second 'painting in a day' effort. 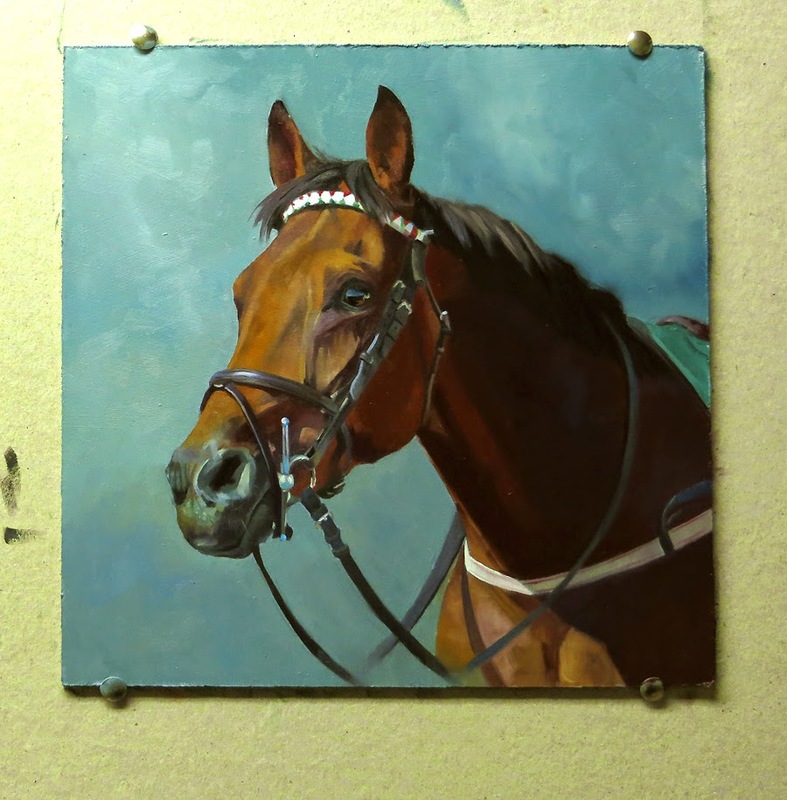 Yes it's another arab racehorse, but they're beautiful animals and I make no excuse for wanting to keep painting them! The name of this one is Noble Athlete and I think he wears it well. Now, I've got to admit to cheating a little bit. The painting I showed you yesterday, and this one, were completed a couple of weeks ago. Still in one day, just not today. I did, however, want to show you them in sequence and rest assured I will be up-to-date by Saturday as I haven't done that many. This was a nice one to do as I just love painting the shadow colours - windsor violet, alizarin crimson an venitian red are all in there. You might also guess that I also love to paint light, or well-lit subjects, and you'd be right. Colour and light are what I hope my paintings are all about and at some point I will show you the big painting that started all this, that is still sitting in the corner of the studio waiting to be finished.